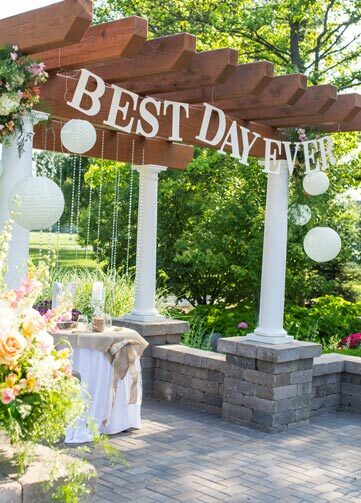 Fern Hill is the perfect venue for that special day. Our banquet hall is surrounded by a beautiful 18-hole golf course. And this gorgeous setting provides endless photo opportunities for you and your wedding party. We have several wedding packages available or you can always work with our professional event coordinators to customize a menu for the wedding of your dreams. We also offer many different upgrades and add-ons to help enhance your experience here at Fern Hill. From chair covers and valet service to appetizers and Premium bar services, you really can have it all on your special day. We can accommodate weddings from 130 people up to 700 people. If you are looking to get married on the golf course, we have a variety of different options. 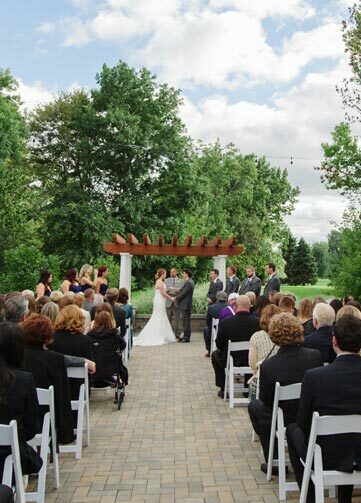 We have an on-site gazebo for outdoor ceremonies as well as an indoor chapel room for indoor ceremonies. We also feature a bridal suite, with plenty of room for you and your bridesmaids to get ready. 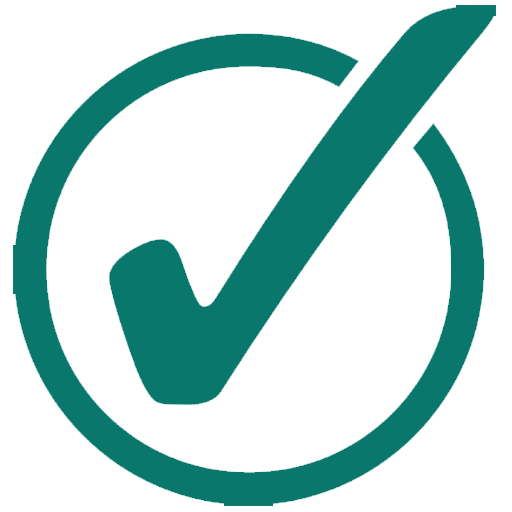 Check out our great reviews on TheKnot.com! For more information call us at (586) 286-4700. Take a look at our newly remodeled Indoor Wedding Chapel! 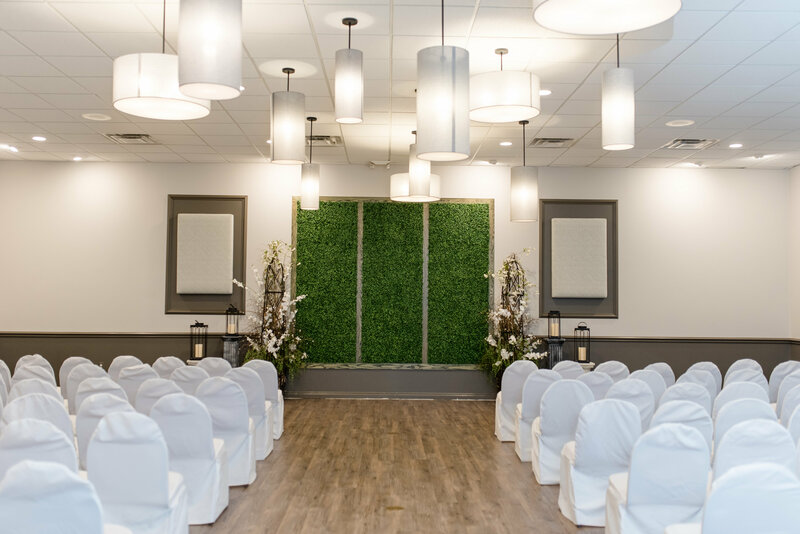 Our indoor wedding chapel has a brand-new look, and it is ready and waiting for your fall and winter weddings! Image how pretty this space will look all decked out in your chosen colors. Fern Hill Golf Club has always been a great venue for weddings of all sizes, and now we are even better! Book your date today by calling us at (586) 286-4700. Don't just take our word for it, here is what our guests are saying about Fern Hill weddings and events. 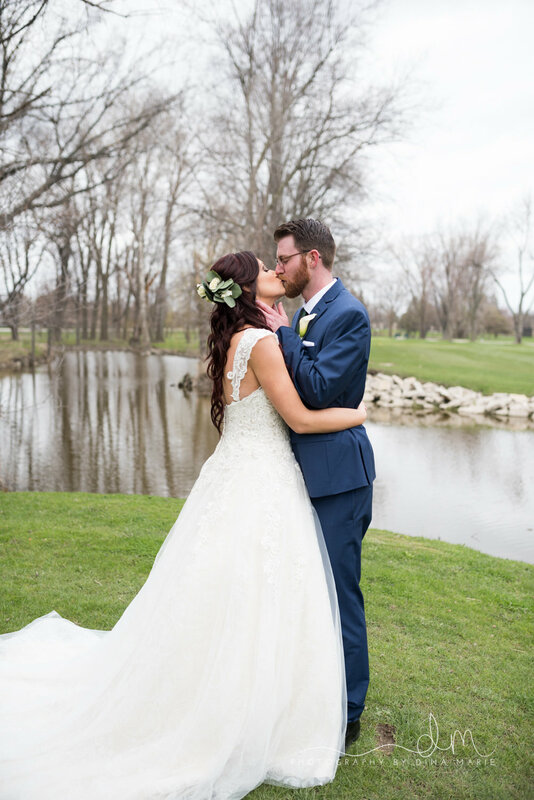 Fern Hill was the first place my husband and I looked at during our venue search, and no where else came close to what Fern Hill gave us for the price. The staff were incredible and always willing to help and always answered all my questions. They set up most everything for you. The food was AMAZING (we heard lots of compliments on the food from guests). I would HIGHLY recommend Fern Hill Golf Club for everyone's wedding venue! Fern hill is a beautiful venue. I had my ceremony, cocktail hour and reception here. Everyone who was at my wedding has been ranting and raving about how beautiful the venue was and how the food was amazing, I have been to so many weddings where the food was awful and this was definitely the best wedding food I have ever had! The staff at Fern Hill are very accommodating and helpful! They are awesome! I would highly recommend this venue!